Product #21544 | SKU PTJ | 0.0 (no ratings yet) Thanks for your rating! The JST-RCY Pass Through Power Cable for Triton Wireless System is 5" long, features a JST-RCY male connector, a JST-RCY female connector, and a right angle 3.5 mm coax connector. It connects to your LiPo battery, and provides power for your Triton transmitter, as well as an JST-RCY power output connector. 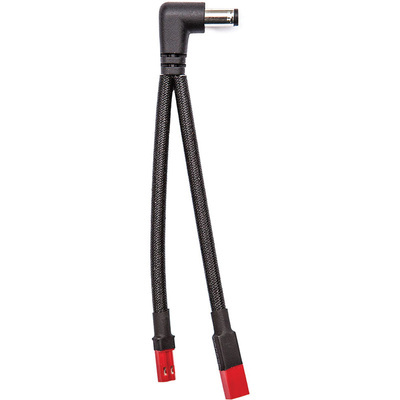 This cable allows you to power your Triton transmitter, and it provides power pass through via a JST-RCY power connector.